Re-design of an existing release of Toll Brothers's main corporate site. I have been a sole designer on the last four releases of this corporate site. 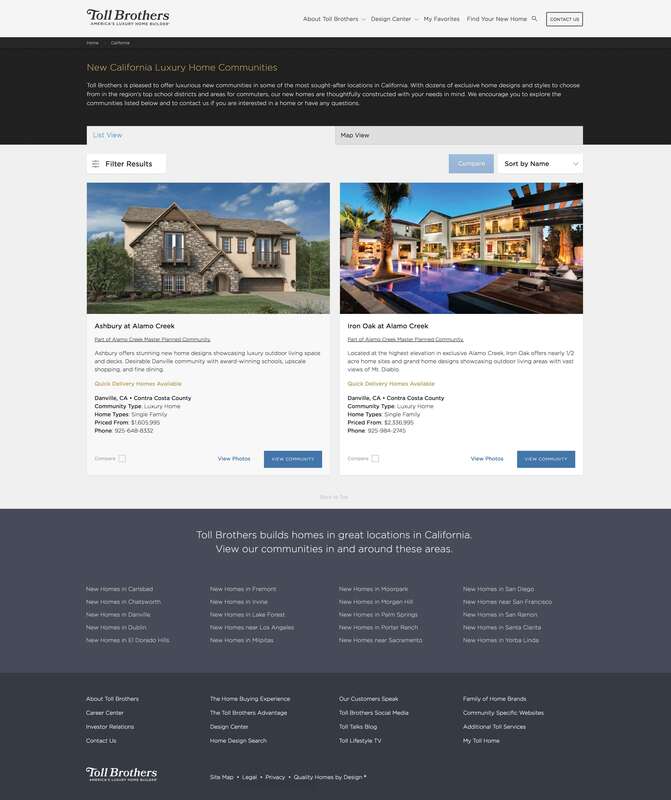 From my tenure at Toll Brothers, I have been both lead designer and lead front-end developer on the web side, but have decided to focus on and pursue the creative and user experience side of Toll Brothers' collateral. The goal of this re-design was to bring a luxury experience to an already existing codebase. This responsive site has also absorbed a once standalone mobile site and includes a streamlined AMP version for a useful Google/mobile experience.